Everything that mattered to Detective Alan Douglas was suddenly gone – his wife, his career and his self-respect. The brutal and senseless murder of his wife had plunged him into a deep spiral of alcohol-fueled depression and despair, leaving him a bruised and battered shell of his former self. After finally hitting rock bottom and with nothing left to lose, he moves to Hawaii for what he hopes will be a fresh start in paradise. Soon after his arrival, he again encounters the same invisible force that was haunting his steps in New York City. This evil and malevolent presence, stalking and taunting him, inexorably leads him back to working with police to solve a series of mysterious murders, kidnappings and strange events that seem to somehow involve and implicate an innocent man. Douglas is determined to fight back using his knowledge of occult wisdom, martial arts and ancient lore, aided by his brother-in-law Whip, friend Lt. Ben Kamamoto and a cast of diverse characters, all with important parts to play in his perilous journey of self-discovery. His ancient foe reappears, a powerful being focused only on revenge and the ultimate possession of dark power, eventually leading to an epic showdown of good and evil in a tale both horrifying and sublime. 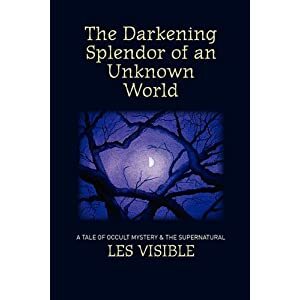 Part crime novel and part occult thriller, The Darkening Splendor of an Unknown World takes us behind the veil of appearances into a world where nothing is what it seems. Set against the backdrop of the island of Maui, the pacing grips us from the first page and sends us at a gallop on a white-knuckled ride featuring horrific murders, martial artists, reincarnation, ceremonial magic, a black magician and an immortal Tibetan master. For pure surprise and enjoyment this book is guaranteed to remain in your thoughts long after you have finished it. What I loved most about this book were the characters. The author has pulled together and created characters that you will not forget. I was amazed at how rich the narrative was and how deep into despair one character can fall, and what he must do to dig back from the brink. Full of mystery and magic this book was more than a story full of suspense, instead it is a story that pulls together the dramatic life of one character and sets the stage for a mysterious ride into a strange world full of strange happenings, magical and occult experiences. This book was a good one, that held my attention from the beginning to the end.